If you’re not already infatuated with air plants, this project will make you fall in love: it’s a snap to make and care for, and the look is unique. These funky plants come in a range of spiky, swirling, sculptural styles, resembling everything from miniature octopi to Medusa to the Muppet Animal’s gravity-defying hair. Mist the air plant or soak it in a bowl of water for 10 to 20 minutes. Make sure you remove the plant after no more than 20 minutes or else you might drown the plant. Remove it and tilt it upside down to make sure no water gathers at the base of the leaves. Allow to dry. Place the orb on your worktable with the opening facing you. Add a layer of the decorative substrate, if desired. Since the plant doesn’t need it, add as much or as little as you like. 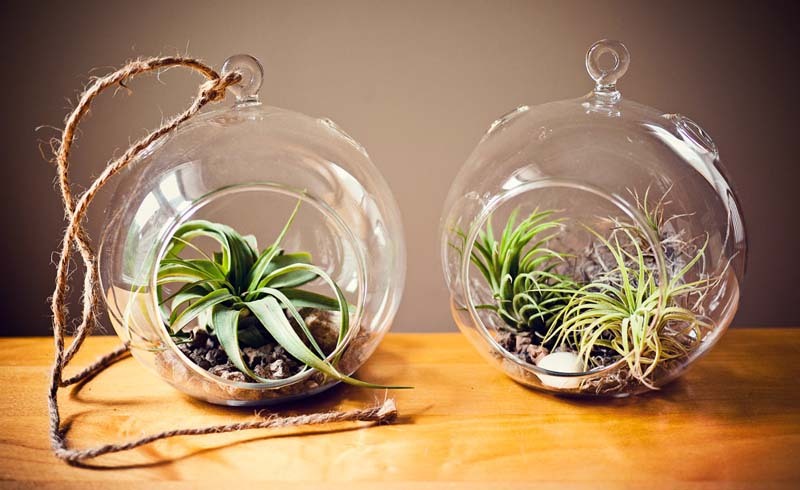 Add your air plant as well as any decorations. Make sure the air plant is easy to remove for watering. Tie your string onto the loop and hang using the hardware, or tie on to an existing surface. 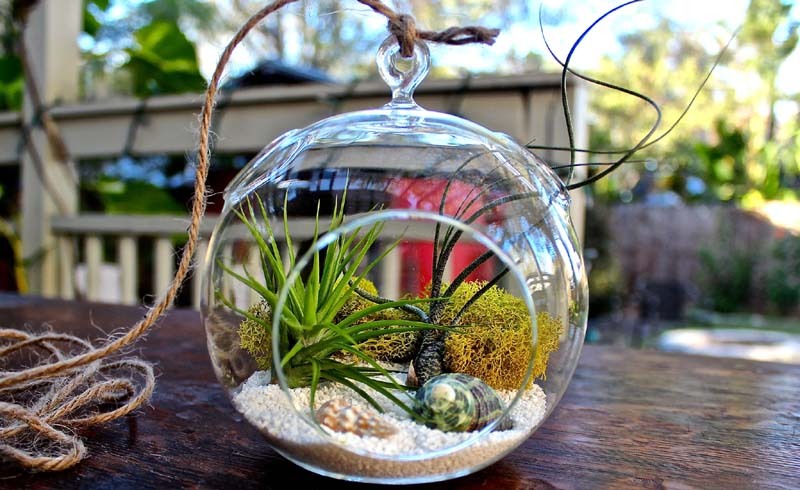 For ease of watering and fertilizing, remove your air plant from its orb.